As an introvert, I try to maximize quiet time. Ideas pour out of me when I have solitude, and I feel like the most productive and reliable person around. As proud as I am of my ability to accomplish so much when given space and quiet, I’ve found that being in my own head has made me more susceptible to some kinds of psychological issues. I’m able to control my thoughts most of the time, but I occasionally become overwhelmed. That’s when my creative brain becomes my enemy. I learned recently that this tendency—one that I believe many introverts share—can lead to crisis situations that are especially hard for introverts to deal with. This is my story of the hellish weekend I spent in a mental health ward. A little planning and personal understanding could have prevented it all. It all began with an impending feeling of doom—like an anxiety attack that would not come. I had not planned for something like this and didn’t know where to go. I waited until I could not stand it and looked for help at 10:15 p.m. on a Friday night. Sadly, the only option available to me was Emergency Psychiatric Services (EPS). This meant that I would be held for my own safety until I could be seen by a psychiatrist and released. Because of this rule, I spent a weekend (Mother’s Day Weekend) in a horrible place for anyone, but a virtual hell for an introvert like me. I was put in an open area that could be best described as “cafeteria-like” in which there were about 30 other patients, 6 or 7 nurses, and 1 officer. There was no quiet or privacy to be had, sleep was almost impossible unless it was through sedation, and I had absolutely no control over my environment. Patients were yelling at each other, yelling at the nurses, and even yelling on the only phone. Not an hour would go by without an uncomfortable confrontation. Yet there was nowhere to escape. Everyone was forced to be a part of the drama of everyone else and it was exhausting. It took 30 hours to be seen by a psychiatrist. I was held against my will for two nights. 1. Introverts are at higher risk of ending up in an EPS situation than extroverts. Introverts should have a plan for a mental health emergency simply because we are more likely to have one. Nancy Ancowitz and Laurie Helgoe wrote an article in 2010 about the American Psychological Association and how there was a proposal to include introversion as a contributing factor in diagnosing certain personality disorders. When you spend a lot of time thinking, there is a lot of time spent with your own thoughts. That can be overwhelming when matched up with intrusive thoughts. Introverts can become antisocial and even agoraphobic from fear of bad social experiences. 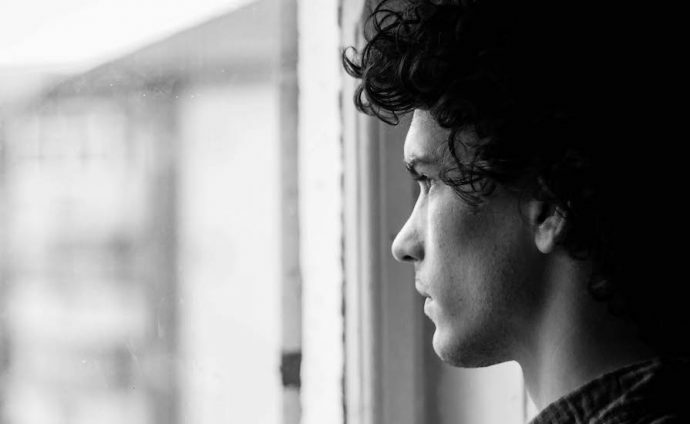 These are problems that can lead to mental health emergencies. Introverts need to be aware of the signs and symptoms of these disorders and what options they have for help if they find themselves overwhelmed. 2. Emergency Psych Services in the U.S. are not set up to accommodate any kind of quiet or privacy, so it’s likely to cause as much mental harm to an introvert as it is to help. I’m still recovering from my experience with EPS. I find myself fearful of getting help simply out of fear of being thrown back into that situation. Sadly, I didn’t find out until afterward that I could have gone to Mental Health Urgent Care if I would have gone in only a few hours earlier. I could have been processed and released the same night. I would have gotten the same access to medication and inexpensive therapy. I wouldn’t have had to endure the psych ward. Simple knowledge of my local health care system would have prevented all the mental damage from my stay. So, know what the set-up is beforehand because you will be left to the mercy of an emergency system that may not be able to accommodate the conditions an introvert needs to recover. 3. Introverts tend to have a smaller circle of close friends and need to know who to call and where to go because they simply have fewer options. Having a larger circle of friends that can help you is helpful in an emergency situation because it works like a call tree. If you have enough people to choose from, one of them will likely be able to help or know what to do. Also, the people will call each other on your behalf. Introverts often have fewer relationships but the quality of the relationship seems to be better (stronger attachment, more time spent together, deeper conversations, etc). This means that, if there are any mental health issues, you need to let those close to you know and have a plan for what needs to be done. A person can be unable to help themselves or focus on what needs to be done in a mental health emergency. So, if you only have a couple options, make sure that they are good ones. 4. Introverts tend to let health go because mentioning it means unwanted attention. Sadly, many introverts (including myself) really hate going to regular preventative doctor visits because it means a lot of questions, poking, and prodding. It feels unnecessary when there isn’t anything actually wrong, but it’s completely necessary to make sure things don’t go wrong. We can’t control everything around us at all times (as much as we may try), so there will be surprises, both good and bad, that affect us physically and emotionally. We watch our physical health so that we aren’t surprised by a sudden heart attack. We need to check in with our mental health so that we aren’t surprised by a sudden anxiety attack. 5. Knowing what to do in an emergency will actually reduce your chance of having a full blown panic/anxiety attack. Are your emotions keeping you from moving forward? Our partner Brenda Knowles can teach you how to live a more empowered, fulfilling life—in a safe, nonjudgmental environment. Learn more. It may not be that surprising, but feeling lost and not knowing what to do does not help in a panic/anxiety situation. It may not be true for all introverts, but I find having some degree of control over a situation makes me feel less panicky. I strongly believe that knowing what to do in a situation has kept me from having a full blown panic attack on more than one occasion. Knowledge is strength in a scary situation. See a mental health care professional. You have to see an eye doctor or the dentist for a check-up? Do the same thing for your brain. The ease of this will sadly depend on how much money you have to spend. If money is not an issue, then pick out a private psychologist or psychiatrist just to talk about any mental issues that run in the family and any stress/problems you feel could affect your mental health. If cost is an issue but you have some sort of insurance, then know that most insurance providers have a mental health component or preferred mental health providers that will be at a lower cost. If you are struggling with money, you may be able to get reduced cost public assistance. You will be assigned a doctor who can get you in touch with affordable mental health care. If all else fails, almost all hospitals in the U.S. have an emergency psychologist on staff—so go to the hospital. If you are feeling like you are a danger to yourself, call 911 in the U.S. (see here for a list of emergency phone numbers by country). Or, get to the hospital immediately. They aren’t perfect but they will help you make it through an emergency. You can worry about cost later when you’re okay. Know your body. Introverts tend to spend more time alone, so we don’t always have others to tell us if we are acting strange or different from our normal selves. We have to know what our general mood is and be able to tell if we’re acting markedly different. It’s the same as going to see a general doctor if we get a constant runny nose and we don’t have allergies. Something is different and we need to tell somebody to make sure it’s not a sign of something else. Know where to go for both emergencies and non-emergencies. A mental health issue will dull your ability to drive, so have an emergency contact who will help you or know what to do in case of an emergency. By age 3, I was taught how to dial 911, where the closest emergency building was to my house, and one person I could call in case something went wrong. This is no different. Deal with the worst by knowing how to handle it best. Making a mental health plan takes time and effort, but trust me, it’s worth it—you don’t want to end up having the same hellish weekend that I did. Alan D. Motter, M.A. is a masters level psychologist and professional SAT tutor who writes under the pseudonym The Introvert Guide. He is on Tumblr as the Introvert Guide and is one half of the duo on the Introvert/Extrovert podcast. To listen to any of the podcast episodes or find out what Alan is up to, check out introextropod.com.